I’m going to admit first thing that I do not like the taste of cranberries, so I was a bit apprehensive about creating a cupcake for this particular Iron Cupcake: Earth challenge. 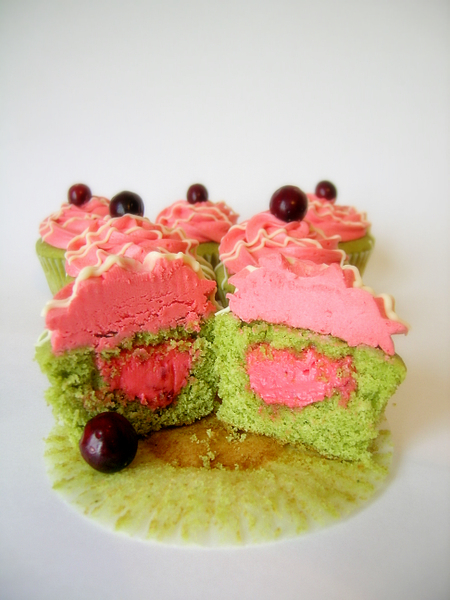 It didn’t deter me, however, from my first entry into the cranberry challenge (I will submitting another entry this month); my green tea cupcakes, filled with cranberry cream cheese filling and frosted with cranberry buttercream with a drizzle of white chocolate. I think the green tea and cranberry is a nice pairing. The overall taste of the cupcake is very sweet; the cranberry taste of the frosting is very subtle, while the strongest cranberry taste comes from the filling. I will also note that I used a small amount of red food coloring in the cranberry parts of the cupcake. The Iron Cupcake: Earth prizes this month are from Etsy artists Lollipop Workshop, Cookie Sunshine, Lots of Sprinkles and Cakespy. Corporate prizes are from Fiesta Products, Hello, Cupcake, Jessie Steele, Cupcake Courier, and Taste of Home. 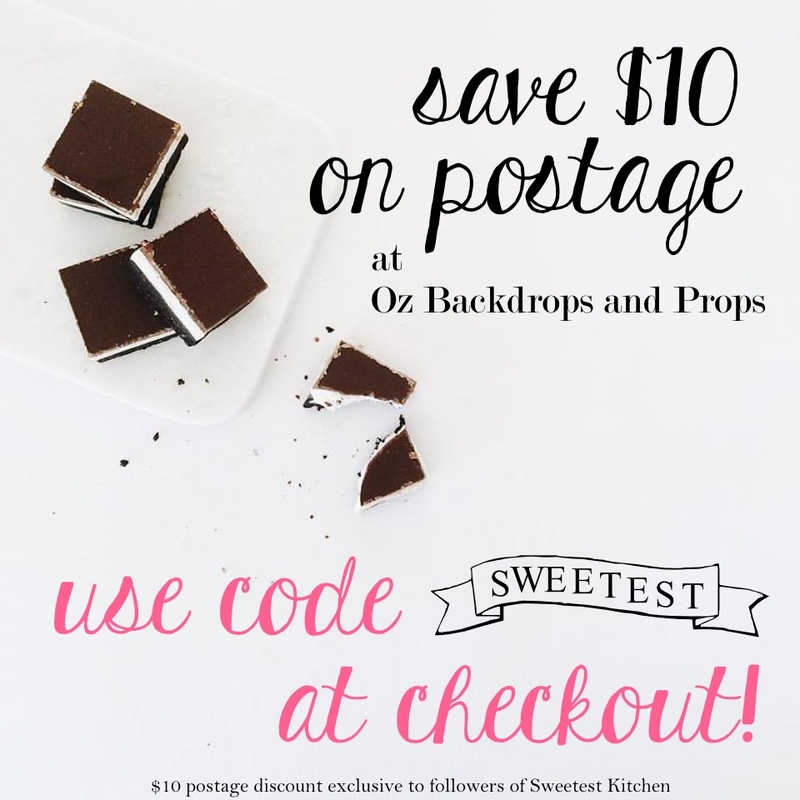 For this month only we have an added bonus from Sweet Cuppin Cakes Bakery and Cupcakery Supply. Iron Cupcake: Earth is sponsored in part by 1-800-Flowers. 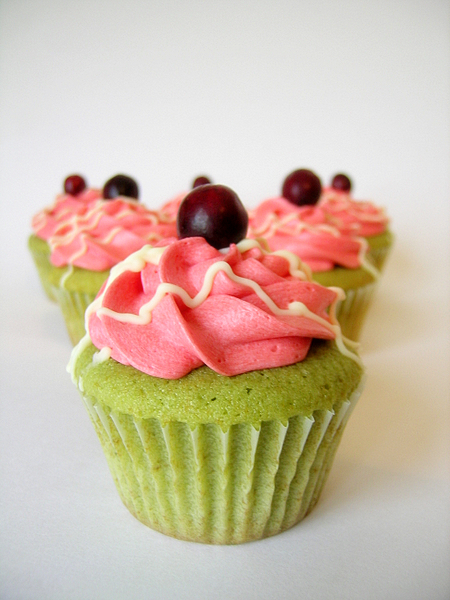 Green tea cupcakes with cranberry cream cheese filling and cranberry buttercream. Drizzled with white chocolate. For the green tea cupcakes: Based on Magnolia Bakery’s vanilla cupcake, and the same cupcake recipe I used for my my green tea cupcakes. What I did differently was divide the recipe by thirds; I ended up with eight cupcakes. For the green tea, add 1.5 teaspoons of green tea (matcha) powder to the flour mix. For the cranberry cream cheese filling: Soften cream cheese and cranberry sauce together in medium sized bowl. Add salt. Gradually add sugar, beating with electric mixer until creamy. Add red food coloring, if desired, for a brighter color. For the cranberry buttercream: In a small saucepan, combine the juice and cranberries. Simmer over medium heat for 5 minutes, or until softened. Let cool and either strain cranberry juice, pressing the berries until most of the juice is gone, or chop the cranberries finely. In a large bowl, combine the butter, sugar and vanilla. Beat with an electric mixer until light and creamy. Beat in the cranberries. Add more confectioners’ sugar for a firmer texture, if desired. Add red food coloring, if desired, for a brighter color. I will vote for you! I love LOVE love LOVE that top shot! Awesome job! These are so cute!! You did a lovely job on them and I bet they are delicious! They are beautiful! I don’t like the taste of cranberry that much, either, but it looks like it worked perfectly for these cupcakes. Hi these looks gorgeous! May I know how do u put fillings into cupcakes?